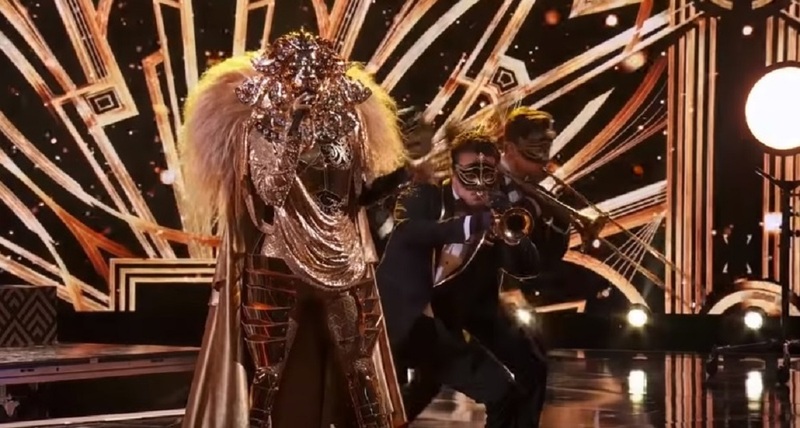 The Lion was one of the five mystery celebrity singers who performed in “The Masked Singer” Season 1 episode 8 titled “Semi Finals: Double Unmasking,” which aired on February 20, 2019 on Fox. He competed against the Monster, the Peacock, the Rabbit and the Bee. As a guest panelist, Kenan Thompson joined resident panels Robin Thicke, Jenny McCarthy, Ken Jeong and Nicole Scherzinger and host Nick Cannon in “Semi Finals: Double Unmasking.” The Lion was the third to perform. In the Lion’s clue reel, viewers learned that she transforms in a way she never expected every time she puts on the mask and for the first time, she was judged only as a singer. She prefers to be heard as a lion who wants be heard and not seen merely as the child of her parents or the empire she was born into. In addition, the Lion noted that she is multi-dimensional although she was always expected to act the part. She went on to sing “Don’t You Worry ‘bout a Thing” by Stevie Wonder. When the Lion sang “Don’t You Worry ‘bout a Thing” with jazzy vocals, Thompson wondered if she was Kelly Rowland. But later on, he and Scherzinger noted that she was not the former member of Destiny’s Child while McCarthy believed she is a huge star. McCarthy still thought the Lion was someone from Destiny’s Child and Thicke guessed Michelle Williams. Scherzinger thought the masked singer could be an actress who was just a really good singer like Hailee Steinfeld.